Did you know you can now book, cancel and reschedule your appointments online? 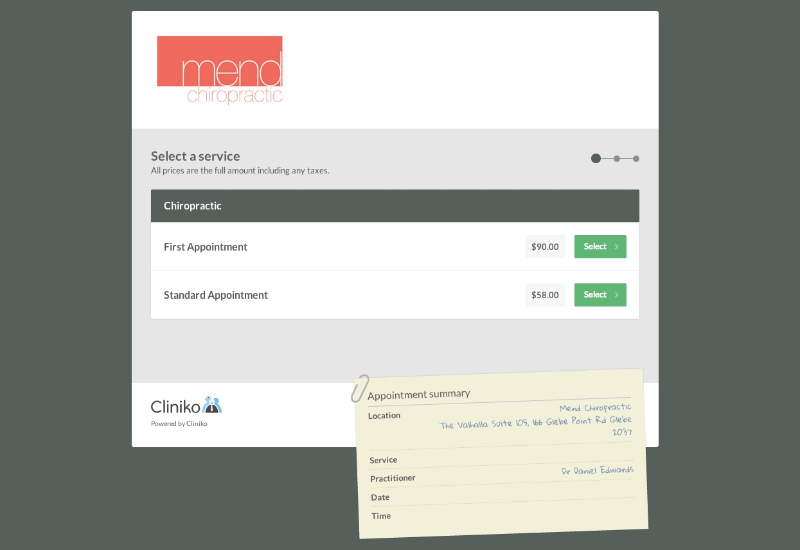 Booking is easy – just click the ‘click to book online’ link at mendchiropractic.com.au and follow the steps. Don’t forget to finalise your booking by clicking the ‘book appointment’ button after you’ve entered your details. To cancel an appointment, open up your appointment confirmation email and click the ‘cancel appointment’ link at the bottom of the email. You can reschedule by following the prompts. If you’d rather speak to someone in person, just give us a call on 9518 5279 (Monday to Friday 9am – 6pm) and we’ll be happy to help.